Steel-service center Stripco, Inc., Mishawaka, IN, has installed an EPS coil line provided by Red Bud Industries, Red Bud, IL. The EPS environmentally friendly acid-free pickling process employs a slurry blasting mixture of water and steel grit to remove surface scale, and does not require a protective coating of oil to keep the material from rusting. 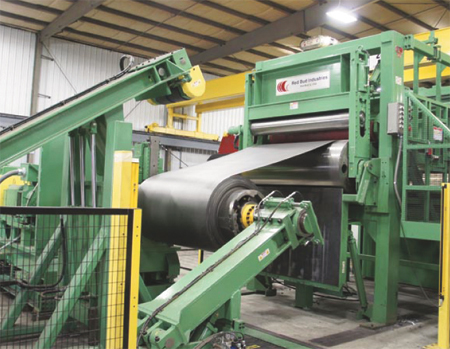 Stripco’s line can remove scale from hot-rolled steel to 0.375 in. thick at 72 in. wide; coil capacity is 60,000 lb. Learn more on Stripco’s website: www.stripco.com/page/14/EPS.